Simon Thornton got his Challenge Tour season off to a positive start when he opened with a three under par 68 in the Allianz Challenge de France at Golf Disneyland near Paris. 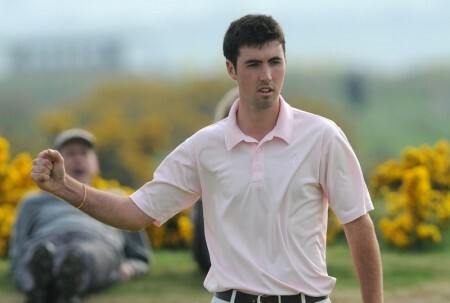 The Ulster-based Englishman finished the day in a nine-way share of 14th place with Dubliner Niall Kearney, four shots behind 19-year old Swede Joakim Lagergren. 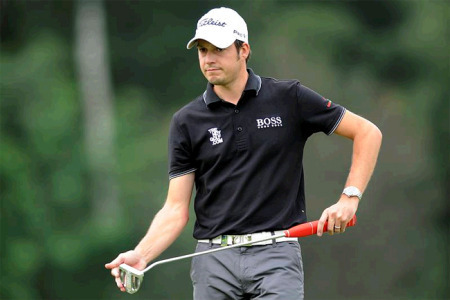 Playing his first full season on the Challenge Tour, Lagergren spent Wednesday afternoon riding the theme park’s rollercoasters, then promptly produced some equally thrilling golf in a course record round of 64 to lead the €150,000 event by two shots from home player Romain Bechu. Eleven players share third place on four under par, including Denmark’s Mads Vibe-Hastrup, who covered the front nine in seven under 28 with no mistakes only to drop three shots coming home. Thornton, who failed to retain his European Tour card at last year’s Q-School, birdied two par fives but bogeyed a pair of par threes to turn in level par 35 before picking up three shots on the way home. It was a similar story for 23-year old Kearney as he had matching nines of 34 and carded five birdies and two bogeys. Glasson’s Colm Moriarty was two under after eight holes but dropped four shots in five holes before birdies at the fifth and seventh helped him post a level par 71 that leaves him with little room for error on Friday. Simon Thornton is making birdies in Paris.Simon Thornton carded a second successive 68 but found himself five shots adrift of Scotland’s Jamie McLeary at the halfway stage of the Allianz Challenge de France. The Co Down based Englishman, now playing under the Irish flag, had seven birdies in a three under par effort at Golf Disneyland near Paris. 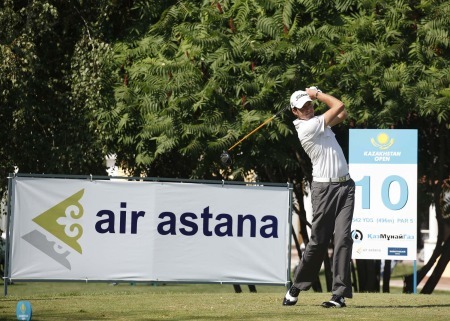 Simon Thornton made an excellent start in the Kazakhstan Open. 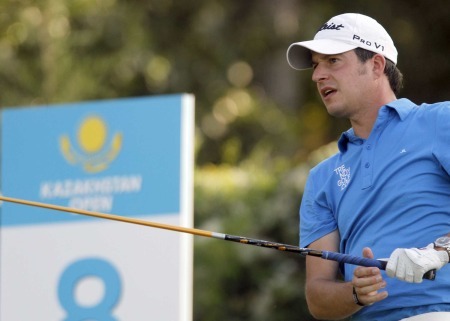 Picture by Phil Inglis.Simon Thornton and Colm Moriarty were the only two players in the field to fire bogey-free rounds as they kept their tour dreams alive in the Challenge Tour’s Kazakhstan Open. Simon Thornton in action at Gleneagles last month. Picture Stuart Adams /www.golffile.ieIreland’s Simon Thornton saw his dream of glory come up one shot short when he was pipped for the Allianz Golf Open Grand Toulouse in south west France on the European Challenge Tour by England’s Sam Little. The good news is that the €17,600 he picked up for second place moved him from 25th place to 12th on the Rankings with €61,996 and he now has an excellent chance of regaining his card by finishing in the top 20 at the end of the season. Simon Thornton is well aware that things are tight on the Challenge Tour. Picture Fran Caffrey/www.golffile.ie Simon Thornton confessed that his tour card ambitions are being tempered by fear in the Roma Golf Open.